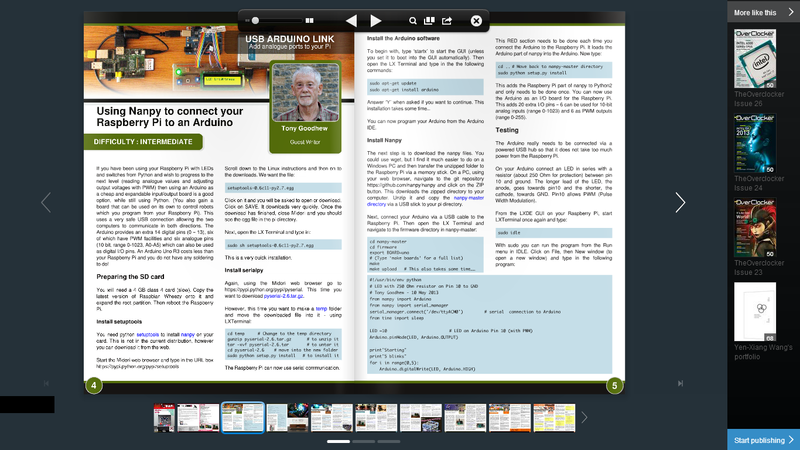 Issue 18中就有說到如何使用 Nanpy 這個 library 直接在command line 中執行 Arduino Sketch, 可以避免在 Raspberry Pi 上開啟Arduino IDE 過慢的情形, 是個相當好用的小工具. 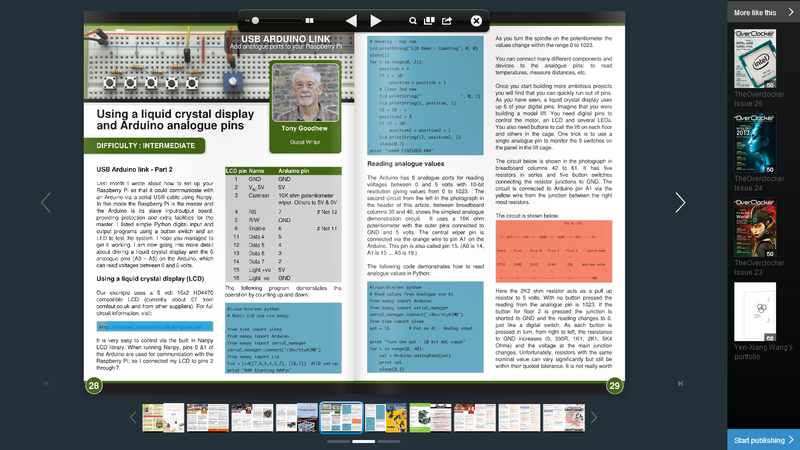 Issue 16 中也提到了如何在 Raspberry Pi 去控制 Arduino 端的類比腳位，以及LCD模組. This entry was posted in RaspberryPi 單板電腦 and tagged arduino, python, Raspberry Pi.